What if I told you that your employees could be 25%, 50% or even 100% more productive? What would that mean for your bottom line? Studies show that this is the kind of difference inspired employees can make to profits, productivity, and employee engagement. 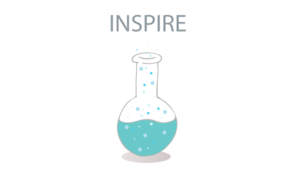 Inspired employees are not only motivated but their energy, ideas, and talents are focussed on the activities, projects, and ideas that matter! This is why inspiring employees can be a game changer for organizations. To inspire your employees you need to articulate your mission, goals, strategy, and purpose. Apple calls it their North Star, Telus calls it their strategic intent, and some companies call it their passion, mission or vision. The name doesn’t matter, what does matter is that providing clear direction that inspires and motivates helps to make sure everyone is pulling in the same direction. Create a powerful vision. Give it energy and infuse it with passion. Use words and images that will excite and motivate people. Take the time to get it right as even simple changes in tone and words can have a powerful impact on results. Make it meaningful. Use plain language and specific words that are unique to your business. Generic vision statements won’t have meaning. Google’s vision is: “Organize the world’s information and make it universally accessible and useful.” Any guess what company had this mission statement: “Respect, Integrity, Communication, and Excellence?” It was Enron. Remember the energy company that ruined countless lives because of corrupt practices? Turns out it had a generic, meaningless and empty vision? By creating a vision that is clear and concrete, the path ahead becomes obvious. If your vision is generic or sounds like it came from a business textbook, it will confuse rather than inspire. Embed purpose. Linking your business to a broader, social purpose at the individual and organizational level is far more than a feel-good exercise. A responsible and sustainable business that contributes to a better world is proven to accelerate growth and contribute to success. Take the time to find your purpose, articulate it and then bring it to life in your organization. I am a huge fan of John Izzo’s work in this area and his latest book: The Purpose Revolution is a must read! Support your leaders. An inspirational leader creates the highest level of engagement and leadership. Internal communications specialists have valuable skills and knowledge that can provide leaders with the insight and tools to effectively communicate with employees. Put it on repeat. Consistently embed messages related to strategy, direction, and purpose in your communications. I just started following the wildly successful e-commerce company Shopify on Instagram and their purpose is clear even just from a few images in their feed. Connect all of your communication back to your mission, vision, and purpose internally as well as externally. It’s essential to consider inspiring your employees through internal communications. Give us a call — we’ll be happy to show you how!